WALT DISNEY STUDIOS AND DISNEY PARKS TEAM UP TO SHOWCASE EXCLUSIVE SNEAK PEEK OF DISNEY’S “TOMORROWLAND” MOVIE! 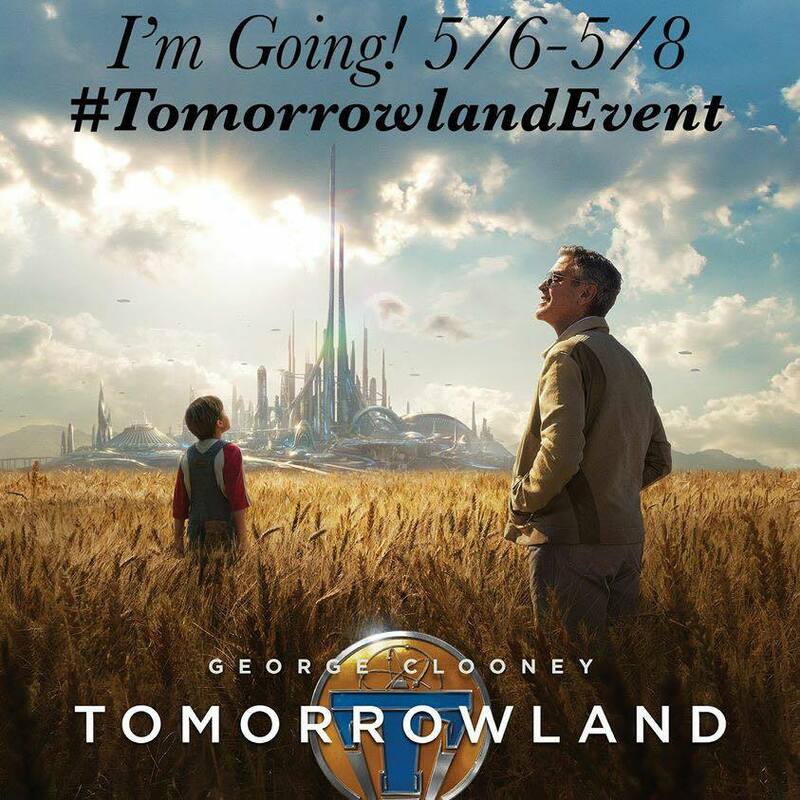 I am so unbelievably excited because from May 6-8th, I will be attending the #TomorrowlandEvent thanks to Disney. So much more to come on that in a few weeks, but meanwhile, I have some great news to share for all you Disney fanatics! If you are ever thought about going to DisneyLand, now is the time because WALT DISNEY STUDIOS AND DISNEY PARKS TEAM UP TO SHOWCASE EXCLUSIVE SNEAK PEEK OF DISNEY’S “TOMORROWLAND” MOVIE AND SPECIAL EXHIBIT FOR PARK GUESTS AT DISNEYLAND RESORT AND WALT DISNEY WORLD RESORT!! **Walt Disney Studios announced today an unprecedented collaboration between the Studio, Disneyland Resort and Walt Disney World Resort to offer park guests a 12-minute sneak peek of Disney’s upcoming thrilling, mystery-adventure film, “Tomorrowland,” opening in U.S. theaters on May 22. Guests will also enjoy an impressive exhibit that features the making of the movie with props, concept artwork and photos from the filming of the movie plus exclusive images from the Disney Archives. The sneak peek and exhibit will open April 17 in Tomorrowland at Disneyland Park and on April 18 in Future World at Epcot and will be available to the public for a limited time. Stay tuned because I will be taking you all on a journey through this amazing Disney movie!! Lots more to come from me…. Pizza is Finally on the Atkins Diet Menu! I never would have thought twice about this until you posted about it. I can not WAIT to see this! Looks amazing! Thank you. This not only has such a great cast, but such an amazing visual presentation from world development to cinematography. The previews look stunning and this is definitely on my must watch list! Really looking forward to seeing this movie. Hoping to get on one of these Disney ops so we can meet in person too. Have fun! This sounds so exciting. I have always loved TOmmorowland (and George C.) so this event intrigues me. I will be tracking your journey.